While lighting is our first love, we also love a good home audio system. It’s a really fun feature to add into your home that makes for great entertainment and ambiance. We spoke a few weeks ago about Broan’s bathroom fan speaker, but this week we’ve got a system that’s perfect for your whole home. The Nuvo Whole Home Audio system from Legrand features award winning speakers and the flexible Player Portfolio system, and it makes it easy to build an awesome audio experience for any (and every) room in your home. The system will give you all the streaming capabilities you want without any of the clutter of desktop and Bluetooth pill style speakers, and in today’s post we’re highlighting its key features and how you can easily integrate it into your space. 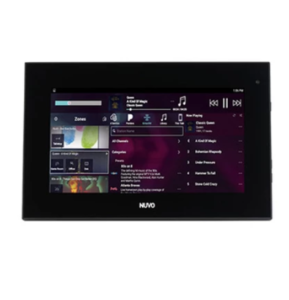 Effortlessly control the entire system throughout your entire home with Nuvo’s three options: the intuitive Player app, which is available for smartphones and tablets, the wall-mounted tablet, and the on-wall keypad. This makes controlling your system a breeze! The wall-mounted tablet is generally set up in a main area of the home, like the kitchen or living room and then on-wall keypads are installed throughout the home so you have access in different rooms. 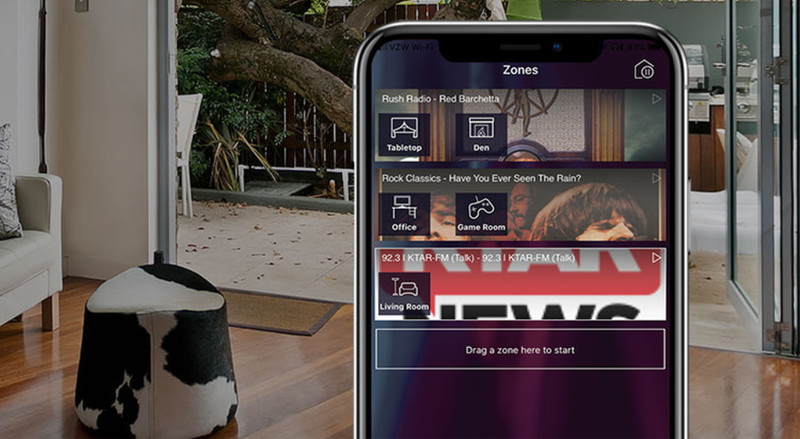 And of course, by using the phone app, you can control the audio throughout your entire home without leaving the couch. Learn more about the wall-mounted tablet here. The system offers both wired Multi-Rack Mount players, which can cover up to three listening zones each and a total of 16 zones when joined together, and the more flexible wired/wireless Single-zone players, which can be easily added on their own or with the multi-Rack options to add more listening areas to your home. You can have a different audio option playing in each listening area or play the same thing throughout the entire home. Note that these players aren’t just great for music but are also fantastic additions to home theaters. Nuvo puts the same care and quality into its award-winning speakers as it does to the audio system itself. The built-in speakers are available at a variety of price points and deliver high performance and impeccable sound. Choose between the Balanced, Enhanced, and Premium speaker options. 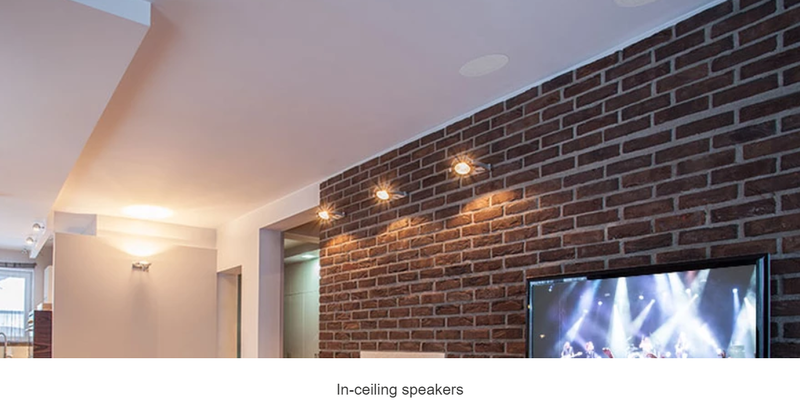 These speakers are built into the walls or ceiling for a clean, modern look. Learn more about the speaker options here. Great audio shouldn’t be confined to inside the home! 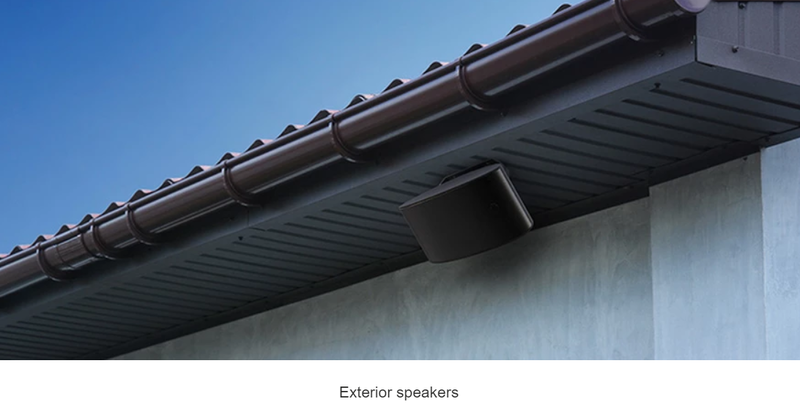 Bring your music outside with Nuvo’s landscape and outdoor speakers. This is a great addition to outdoor entertaining or simply for your own enjoyment. Whether you want to listen to music, the news, podcasts, or enhance your home theater system, the Nuvo Whole Home Audio system is a fun essential for the modern home.